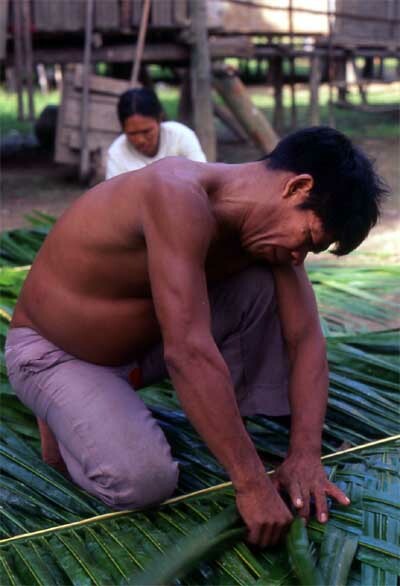 Here is a villager weaving the leaf stems around bamboo poles. Several dozen of these poles will be assembled to form the completed roof. An example of the finished work is shown below. 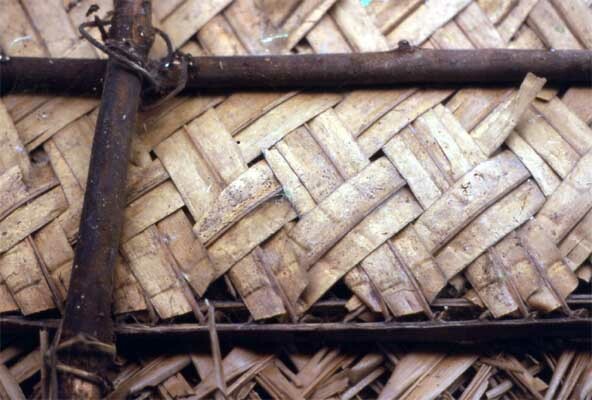 This picture shows the overlapping sections of leaves tied together. Initially they are virtually leak-proof but after a while the elements and insects take their toll.Typically one of these roofs will last for about four or five years before they need to be replaced.